"Clever girl." - That's the line from Jurassic Park when the guy thinks he's about to take down one raptor, but then he realizes that it was all a trap and the other raptor is about to take him out! Pretty cool, right? Because raptors are clever, clever enough to gut you when you least expect it! Remind you of anyone? Maybe a certain man's best friend? Maybe your pup doesn't have razor-sharp claws, and maybe his bark is much worse than his bite, and maybe he's not as clever as a raptor, but he can still join in the fun, can't he! Of course! 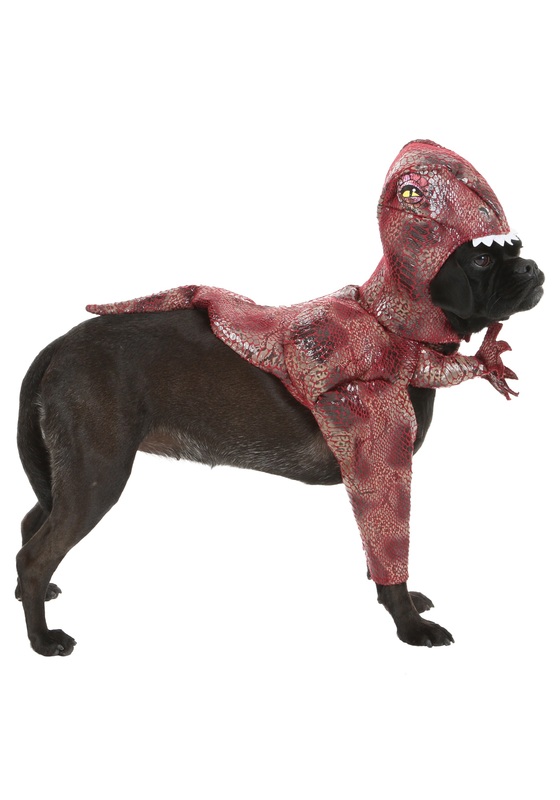 Put this Raptor costume on your dog and begin your reenactment of Jurassic Park. What your dinosaur theme park lacks in terror or thrills, it will make up for it with sheer cuteness. 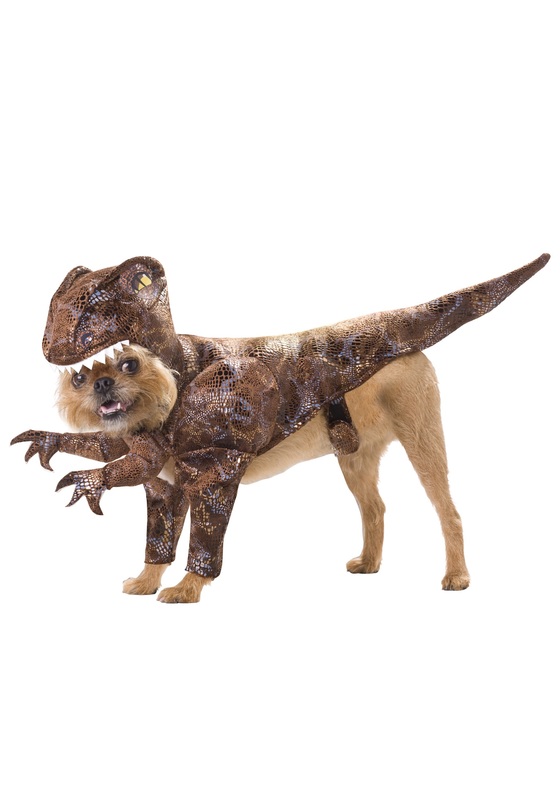 Nothing is going to be more adorable to all you dinosaur-lovers than a cute and furry dino buddy to scamper along with you. You don't have to go back 65 million years to know how much joy the two of you will have together!